Cool air is finally making it's return to New England and the leaves are cooperating by really starting to do their thing. It is the perfect time of year to buy more socks, wear layers, and stock up on all the best soup-making supplies. 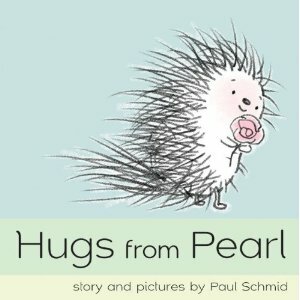 I've also been stocking up on some pretty spectacular picture books. Last weekend I spent a day at Simmons College for their annual Horn Book at Simmons Colloquium. This event is aimed at discussing the Horn Book Boston Globe award winners as well as discussing important happenings in children's literature. Myself and about 200 other participants listened to the authors who won awards discuss this year's theme, minding the gaps in children's literature. We talked about diversity, the balance of girls and boys being represented, how class is represented in children's literature, and where and how nonfiction fits in the world of children's literature. It was one of the best events I have attended about children's literature because of it's willingness to delve deep into what is missing for our young readers. These two books were not featured at the event but talk about diversity! 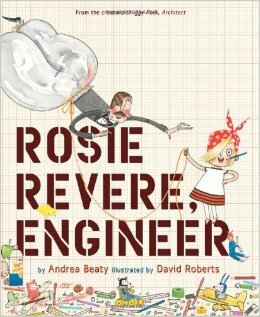 Rosie Revere shows a young girl taking a risk to be an engineer when no one else thinks she can do it. She gathers materials all around her to build things but is discouraged to do so and thus, hides her efforts. 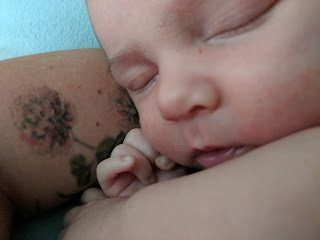 Alas, all is not lost because her great-great-aunt Rose swoops in and tells her what's up. 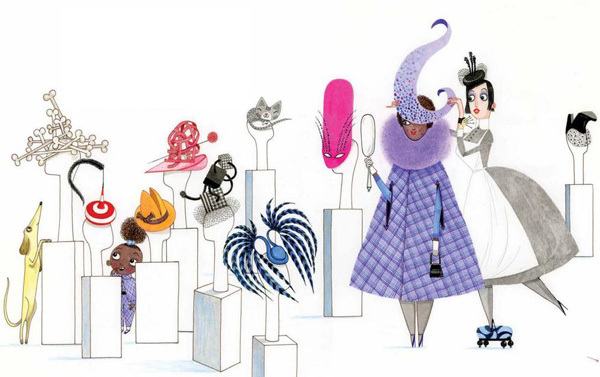 Madame Chapeau is about a hat maker who fits the entire town with the best hats possible. She's a successful single woman who has her own business and every year she takes herself out for her birthday to the fanciest spot in town with her favorite hat atop her head. This year, her hat is snatched by a crow and all the towns people offer her their own hats. 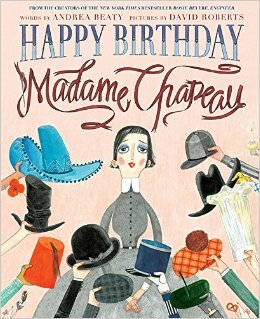 One quiet observer, a little girl, knows the secret to a perfect hat and helps save Madame Chapeau's birthday. 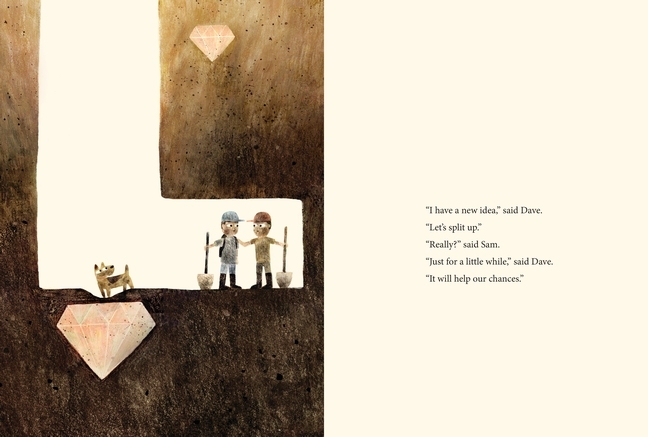 Mr. Tiger was a hot contender for the Caldecott last year but much to the surprise of the book community, he did not win. 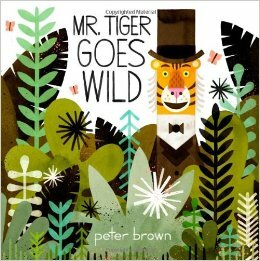 However, all was not lost because Peter Brown did win the Horn Book- Boston Globe award for this book and it seems as if a little of that wrong was righted. 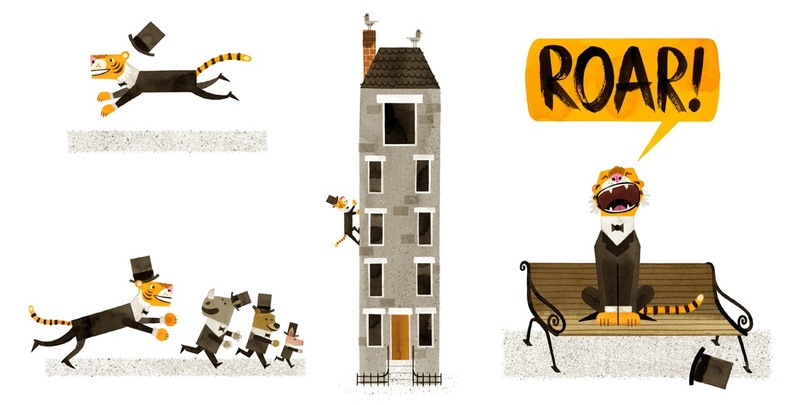 Mr. Tiger lives in a city where everyone just goes along with the day-to-day monotony. Soon, he starts to feel antsy and wants a change. So he starts walking on four legs, and then takes off his three-piece suit. Well, all the animals won't stand for this kind of anarchy so he gets booted to the forest. However, this does not seem to solve his problems because he realizes he misses all his friends. Mr. Tiger heads back to the city but is surprised to discover he was not the only one ready for a change. 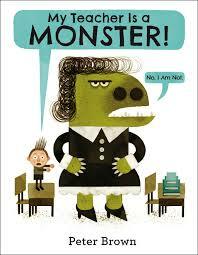 My Teacher is a Monster is a cheeky little tale about what happens when you see your teacher outside of school. Robert is pretty convinced his teacher is a monster and is shocked to see her sitting on a park bench one day. Make sure to pay attention, because the teacher doesn't look so thrilled to see young Robert, either. I chatted with Peter about the book a bit and he said his mom was a fourth grade teacher (!!!) and he remembers how she reacted one time when she say a student outside of school. He said he wanted to capture a little of that other side in this story. So when a chance wind snags the teachers hat and sends it flying (p.s. LOVING all the hats in books these days), Robert and his teacher find that they can find some peace between them....until Robert starts flying paper airplanes in school again. 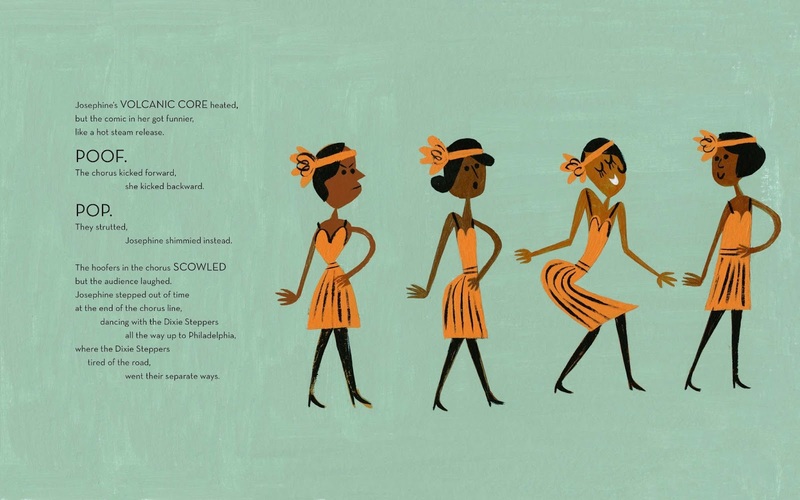 This 100-page picture book tells the life story of a woman who was an important part of the civil rights movement and yet not widely talked about. She was a dancer in the 1920s, making the charleston come alive, but was not allowed to dance in many clubs in the US because of her skin color. She took herself to Paris, where they were more accepting of differences and she boomed as a dancing sensation. She continued to voice her opinions of segregation in the United States and eventually headed back. 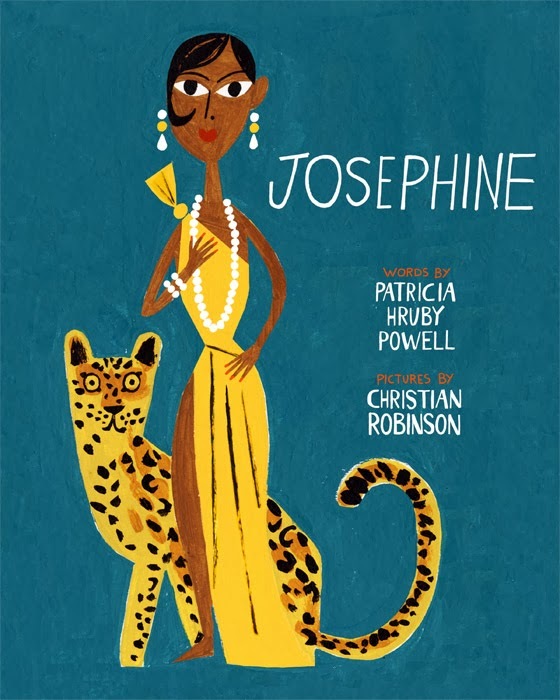 One amazing thing I learned was Josephine adopted 12 children from different countries and called them her "Rainbow Tribe" to prove that different people could live together in harmony. Move over Brangelina!! I've been waiting for these fine gentlemen to get another book together and at long last it has happened! Their last book, Extra Yarn! was a HUGE favorite among my students and this book has already won them over. 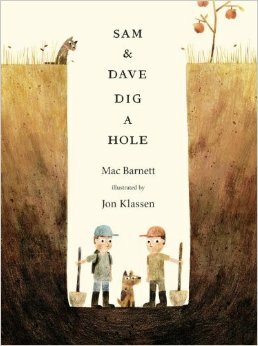 In this story, two young boys, Sam and Dave, are joined by their dog in a quest to dig a hole. Yep, just dig a hole. They are hoping to strike it big somehow but their efforts seem to go unrewarded. 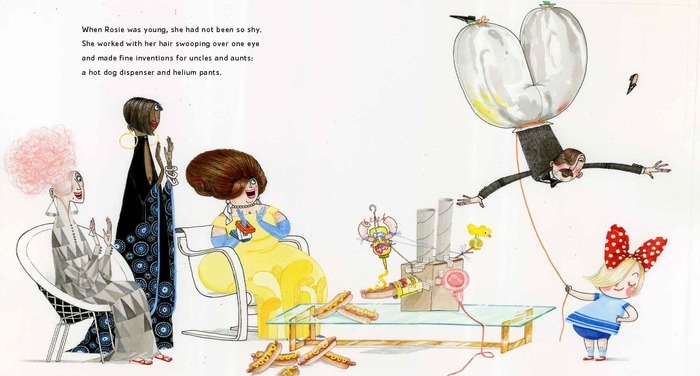 In the cheeky way that this bestie author/illustrator team know so well, there is more to the story than the words tell you. The ending, is a perfect subtle way of making the reader say, "Wait...wait...did they?...wait....I think...." and then they leave you hanging.